We recognize and appreciate the responsible handling of personal data. The processing of personal data within the scope of the services offered on our websites will always be in line with the General Data Protection Regulation (GDPR) and the applicable national data protection provisions. The data privacy statement hereunder advises you of the type and scope of the personal data collected during visits to our website as well as our processing procedures. This statement also advises you of your rights derived from this privacy statement. Personal data as defined by Art. 4 No. 1 GDPR include all information which refer to an identified or identifiable individual, e.g. name, address, e-mail address, user behaviour. The legal basis of the a/m data processing is Article 6 Par. 1 Sent. 1 lit f of the GDPR. Our legitimate interest is derived from the a/m purpose of the collection of data. In no case we shall use data that could compromise your identity. The server log files with the a/m data are deleted automatically after two months. We reserve the right to store server log files for a period longer than that if there are facts that suggest the assumption of unauthorised access (such as attempted hacking or a so-called DDoS attack). Our websites contain a Contact Form and a Request Form to obtain a non-binding offer for a language training (hereinafter referred to as “Contact Form” only) that can be used to contact us or request a non-binding offer electronically. If you do so, the indication of your first name and your last name, your e-mail address and your phone number is mandatory. This enables us to identify the enquiry and to reply accordingly. The indication of further details in the Contact Form is voluntary, i.e. it is at your discretion whether you enter additional personal data (e.g. your company, etc.). If you contact us via one of these Forms, we will store the data entered into the input mask. The processing of personal data from the input mask of each Contact Form serves the purpose of responding to your enquiry and, if applicable, the submission of a non-binding offer for a language training. The otherwise processed personal data during the dispatch serve to prevent the abuse of the contact form and to safeguard the security of our IT services. Personal data are processed on the basis of your voluntary consent. The legal basis of this is Art. 6 Par. 1 Sent. 1 lit. a GDPR. In the event the enquiry via the Contact Form aims at signing a contract, the additional legal basis for the processing is Art. 6 Par. 1 lit b GDPR. In this connection the data transmitted will not be disclosed to third parties. The data are deleted as soon as they are no longer required to serve the purpose of their collection. This applies to the personal data from the input mask of the Contact Form if the respective conversation with the user has ended. The conversation is deemed ended if circumstances give reason to assume that the issue in question has been finally settled. The additional data collected during the dispatch of the message will be deleted within a period of two months. In the event you contact us via e-mail, the data provided by you (your e-mail address, and, as the case may be, your name and phone number) are stored to enable us to deal with your enquiry and to reply to it. The required legitimate interest in the data processing is the purpose of handling the enquiry. The legal basis here is Art. 6 Apr. 1 Sent. 1 lit. f GDPR. If the first contact aims at signing a contract, the additional legal basis of the data processing is Art. 6 Par. 1 lit b GDPR. The data are deleted as soon as they are no longer required to serve the purpose of their collection. This applies to the personal data from the input mask of the contact form if the respective conversation with the sure has ended. The conversation is deemed ended if circumstances give reason to assume that the issue in question has been finally settled. this is legally permissible and required for the execution of contractual relationships with you in accordance with Art. 6 Par. 1 Sent. 1 lit. b GDPR. On the other hand and to optimise the user-friendliness we use temporary cookies that are stored on your terminal for a defined period of time. In the event you visit our website again to request our services, the system can automatically identify that you have visited the website before and retrieve your entries and settings so that you do not have to re-enter the same. The user data collected within the scope of Google Analytics are pseudonymised by means of technical measures. Therefore, the allocation of data to the accessing visitor to our website is no longer possible. The data are not stored together with other personal visitor data. The use of analytics cookies serves the purpose of improving the quality and content of our website. Analytics cookies give us information the usage of our website allowing us to steadily optimise our services. This purpose also constitutes our legitimate interest in the processing of personal data. The legal basis of the processing of personal data based on cookies is Art. 6 Par. 1 Sent. 1 lit. f GDPR. Our website uses Google Analytics, a tracking tool of Google Inc. (“Google“). Google Analytics uses so-called “cookies“; these are text files stored on your computer which allow an analysis of the website usage by you. The information generated by the cookie concerning your website usage are, as a rule, transmitted to a Google server in the US and stored there. In the event of the IP anonymization being active on this website, Google shall abridge your IP address within the EU member states or any signatories of the Treaty Economic Area.The full IP address is transmitted to a Google server in the US in exceptional cases only and abridged there. By order of the operator of the website, Goggle will use the information to analyse your usage of the website to prepare reports on website activities and to provide to the website operator further services in connection with the usage of the website and the internet. The IP address transmitted by your browser with the scope of Google Analytics is not fused with other Google data. You can prevent the storage of cookies by setting your browser software correspondingly. However, we wish to point out that it is probable that in such case the functions of the website cannot be used in full. Moreover, you can prevent the collection of the data generated by the cookie and related to your usage of the website (incl. your IP address) as well the processing of the data by Google by downloading and installing the browser-plug available on https://tools.google.com/dlpage/gaoptout?hl=en. This website uses Google Analytics with the extension „_anonymizeIp () “. This allows the abridged processing of IP addresses which rules out any identification of individuals. In the event the data collected in connection with your access allow the identification, this is immediately ruled out and the personal data are deleted promptly. Third-Party Provider: Google Dublin, Google Ireland Ltd., Gordon House, Barrow Street, Dublin 4, Ireland, Fax: +353 (1) 436 1001. This website uses the services of Google Maps. This allows us the direct display of interactive maps on the website direct and facilitates the comfortable use of the map function. When you access the website, Google is informed that you have called the relevant sub-page of the website. Moreover, the data mentioned in Clause 2 of this statement are transmitted. This is independent of whether Google provides a user account via which you are logged in or whether there is no user account. If you are logged in on Google, your data are allocated to your account direct. If you do not wish your profile to be allocated in Google, you have to log out before enabling the button. Google stores your data as user profiles and uses the same for the purposes of advertising, market research and/or the needs-based design of its website. Above all, such analysis is made (even for users not logged in) to place need-based advertising and to inform other users of the social network about your activities on our website. You are entitled to object to the creation of such user profiles; to exercise this right you need to refer to Google. Further information concerning the purpose and scope of the collection and processing of data via the plug-in provider can be taken from the provider’s data privacy statements. There you will also find further information concerning your relevant rights and setting options to protect your privacy: http://www.google.de/intl/de/policies/privacy. Google processes your personal data also in the US and has submitted to the EU-US Privacy Shield: https://www.privacyshield.gov/EU-US-Framework. 1) Our website contains YouTube videos, stored on http://www.YouTube.com ; they can be played from our website direct. They all are embedded in the “advance privacy mode“, i.e. no data that could identify you as the user are transmitted to YouTube if you do not play the videos. Only when you play the videos, the data mentioned in Clause 2 are transmitted. This data transmission is beyond our control. When you access the website, YouTube is informed that you have called the relevant sub-page of the website. Moreover, the data mentioned in Clause 2 of this statement are transmitted. This is independent of whether YouTube provides a user account via which you are logged in or whether there is no user account. If you are logged in on Google, your data are allocated to your account direct. If you do not wish your profile to be allocated in YouTube, you have to log out before enabling the button. 2) YouTube stores your data as user profiles and uses the same for the purposes of advertising, market research and/or the needs-based design of its website. Above all, such analysis is made (even for users not logged in) to place need-based advertising and to inform other users of the social network about your activities on our website. Acc.to Art.6 Par.7.1 Sent. 1 lit f GDPR, you are entitled to object to the creation of such user profiles; to exercise this right you need to refer to YouTube. 3) Further information concerning the purpose and scope of the collection and processing of data via the plug-in provider can be taken from the provider’s data privacy statements. There you will also find further information concerning your relevant rights and setting options to protect your privacy: http://www.google.de/intl/de/policies/privacy. in line with Art. 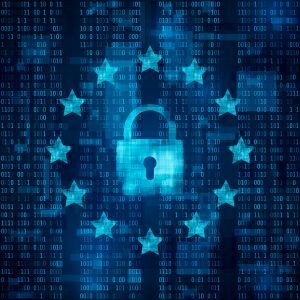 77 GDPR file a complaint with a regulating authority. As a rule, you may contact the regulatory authority at your permanent place of residence or place of work or our place of business. In the event we process your personal data on the basis of legitimate interests in accordance with Art. 6 Para. 1 Sent. 1 lit. f GDPR, you are entitled to object to this processing in accordance with Art. 21 GDPR insofar as there are reasons resulting from your situation or as the objection is directed against direct mail. When such objection is exercised, we will ask you to describe the reasons why we should not process your personal data as intended. In the event of a well-founded objection we will check the circumstances and will either discontinue to process your data, adapt the same or define our position why there are compelling legitimate grounds to continue the processing. Access to our website is subject to the commonly used SSL procedure (Secure Socket Layer) in connection with the applicable highest encryption level that is supported by your browser. As a rule, this is a 256-bit encryption. If your browser does not support the 256-encryption, we use the 128-bit v3 technology instead. The symbol of a locked key or a padlock in the status bar of your browser shows you whether a page of our website is transmitted with encryption. Moreover, we use suitable technical and organisational safety measures to protect your data from random or wilful manipulation, partial or complete losses, destruction or unauthorised access by third parties. Our security measures are permanently improved with state-of-the-art technologies. Please note that it may become necessary to adapt/amend this Data Privacy Statement to comply with amended statutory or regulatory requirements and/or provisions. The relevant version of this Data Privacy Statement is available on our websites and can be downloaded and printed at any time.